In recent years, the transformation of government weathervanes has led to the reform of Internet finance, which is especially obvious in the P2P online lending industry. Based on the types of problems and risks of online lending platforms since 2016, this paper will propose specific regulatory path improvement to prevent, transfer and resolve information asymmetry and promote the industry to play its role more effectively. P2P lending since 2011 to enter the public line of sight, the 2014-2015 years of explosive growth, as the industry's soft rules introduced gradually, especially at the end of 2015 the net borrowing information intermediary business management interim measures "issued after the new network platform loan also emerged in 2016 dropped substantially, the cumulative number of platform is still in a slight increase. After the special rectification work of Internet finance began in April 2016, the number of newly closed and defective platforms increased sharply from April to August, and reached the historical low growth rate of -50% in September, and then the number of closed and defective platforms decreased, until February and march this year. Since 2016, except for January and February of 2017, the overall volume has maintained a growing trend, which did not decline due to the strengthening of the regulation and platform withdrawal. In march of 2017, the volume was 250.843 billion yuan, which was a record high in a single month, and it increased by 22.76% compared with February. In addition, the historical accumulative trading volume of the industry reached 4105.69 billion yuan, and the historical accumulative trading volume was 1745.027 billion yuan at the end of march last year. It can be seen that the accumulative trading volume of the online loan industry in the past year exceeded the historical accumulative trading volume of the same period last year. 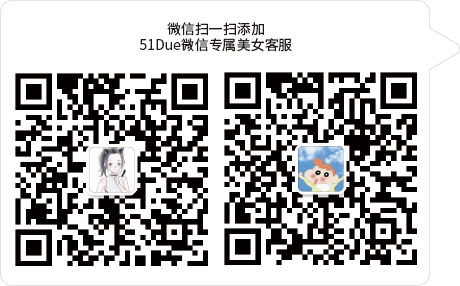 During the rectification period, the exiting platforms can be mainly divided into five types: suspension of business, transformation, runaway, withdrawal difficulties, economic investigation and intervention. At the end of March 2017, it happened to be the end of the year for rectification work. The types of withdrawal platforms in March were mainly business suspension, withdrawal difficulty and escape, without intervention of economic investigation. Since last year, compared with 2015, the suspended business and problem platforms have also changed greatly. According to data from wangdaizhijia, in 2016, the number of these two benign exits was 66.11% and 1.61% respectively, while in 2015, it was 32.3% and 0.08% respectively, both increasing. In 2015, the number of such platforms accounted for 44.44 percent, 22.18 percent and 1 percent, respectively. At present, the number has dropped to 22.46 percent, 9.53 percent and 0.29 percent, respectively. Since last year, the number of suspended platforms has increased dramatically, mainly due to the risk warning of liquidity and the capital chain rupture, which further worsened and led to withdrawal difficulties and flight. The main business of most P2P online lending platforms is characterized by short term, high yield and strong liquidity. Sometimes, even after the platforms release information according to the requirements of regulatory authorities, it is easy to trigger a run on the bank. This puts forward higher requirements for the platform's internal risk control system and senior management. Information disclosure is not timely, and there are loopholes in the dynamic monitoring mode of many indicators. In addition, many platforms promise high returns and high returns for investors, but the platforms cannot sustain due to high operating costs. Lending to P2P network development process, in order to control risks, such as the composite mediation mode, assets securitization, etc., as the guidance, information about lending platform positioning to the P2P network, these patterns are difficult to continue to exist, although mode to a certain extent, is to learn from the concept of Basel risk reserve asset securitization helps keep liquidity platform, but the financial innovation to run such as opportunity left the occurrence of moral hazard, strengthen efforts to the renovation of the P2P lending platform had a great influence, especially since the end of 2015. In February 2017, the central bank issued the business guidance on online lending fund depository, which undoubtedly raised the threshold for P2P online lending mainly hosted by third-party institutions. In addition, platforms still face criminal crimes such as illegal fundraising and illegal absorption of public deposits. Credit risk is the main reason. From one aspect, it explains the absence and imperfection of supervision and law, which leads to fraud and other moral risks. Moral risk is the most important type of credit risk in P2P network lending. For example, the "self-financing" platform absconded with the money. On the other hand, the credit default of borrowers combined with a run on the bank can easily lead to problems of P2P online lending platforms. From the rapid development of P2P in China to the current withdrawal tide, many platforms originally have the bad purpose of regulatory arbitrage. Up to now, laws, policies and regulations urgently need to establish the entry threshold and exit mechanism of the industry. Can draw lessons from Britain and the United States from the lowest operating capital, executive qualification requirements, the structure of the internal control and risk control system, specific access request body positioning, etc. That borrowing in practice to distinguish the different operation mode of network platform, such as pure intermediary mode, assets securitization, creditor's rights transfer mode setting different entry requirements. Based on the fact that suspension accounts for a large proportion of the platforms in question at present, relevant procedures should be set up in the withdrawal mechanism. Referring to the requirements of the United States and the United States for the submission of withdrawal plans and relevant financial data, the regulatory authorities should carry out physical inventory and liquidation of the financial status of the companies provided by the platforms that apply for suspension. Article 28 of the administrative measures on online lending information intermediary business activities issued by China banking regulatory commission and other departments stipulates the customer fund bank depository management system, which is mainly based on the consideration of custodian risk, but puts forward a high entry threshold for platforms, making many P2P platforms step back. According to incomplete statistics from the research center of P2P lending home, as of April 5, 2017, a total of 281 normal operating platforms announced to sign direct depositary agreements with Banks, accounting for only 12.32% of the total number of normal operating platforms in the P2P lending industry in the same period. At present, the supervision aspect needs to clarify the specific power and responsibility of depository Banks, refine and implement the third-party fund custody system, select some commercial Banks with custody experience and risk control ability, and require them to develop a special operation mode suitable for the fund custody of online loan industry on a pilot basis. Guide enterprises to establish risk concept and strengthen internal risk management. First, strengthen industry self-discipline. Strengthen the important role of industry associations in avoiding financial risks, formulate business management rules and industry standards, establish industry risk control index system, strictly supervise the quality of institutions' innovative products and services, as well as competitive means, maintain the credibility of the industry, and establish the first barrier to prevent financial innovation risks. Second, improve the information sharing mechanism and information disclosure system between P2P platforms, strengthen the information management of P2P platforms, make full information disclosure and risk tips, and clarify the rights and obligations between platforms, investors and borrowers. 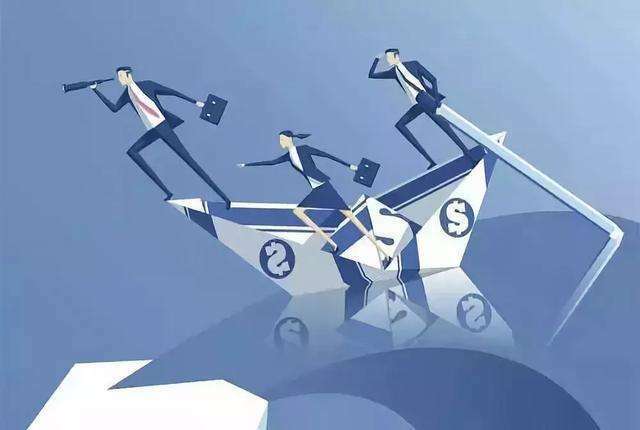 Third, P2P platforms should establish their own risk quantification index system and risk dynamic assessment system according to their own capital borrowing rate, average borrowing period and other characteristics, so as to reduce the possible liquidity risk and avoid the risk of withdrawal difficulty.